I read this article and wanted to share it with you: Why we study scientists with mixed legacies https://blog.sonlight.com/why-we-study-scientists-with-mixed-legacies.html. A thoughtful Sonlight mom recently voiced her surprise that we include a biography on Rachel Carson called Listening to Crickets in our Science D program. The mom pointed out that not everyone regards Carson's work as beneficial, since it has led to some terrible unintended consequences. The Instructor's Guide does include a note to that effect, but even so, I sincerely appreciate feedback like this. 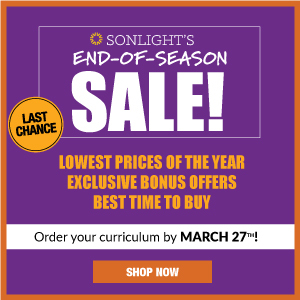 As I wrote last year, thoughtful criticisms of Sonlight's curriculum help us improve. They also exemplify a great benefit of homeschooling: parents know what their children are learning and can discuss topics where they disagree. So then, why do we include the book? For one, Rachel Carson was hugely influential and we still feel the impact of her work today. As a scientist who authored the controversial book Silent Spring, many say her work launched the environmentalist movement. I think that's worth studying. I also want to show children how math and science can change our world. 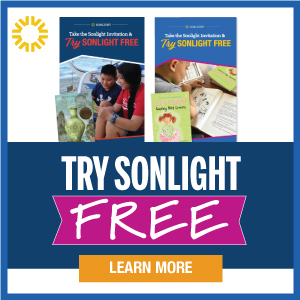 When Sonlight students read about Archimedes, Isaac Newton, George Washington Carver, Nathaniel Bowditch and Albert Einstein, they learn that scientists are real people who can have a huge impact on society (for good or bad). They learn to see science as a viable career option. They learn that research and discovery require careful, dedicated work. Unfortunately, Carson's work has had some drastic, if unintended, consequences. Because of her writing, cultural perceptions about the pesticide known as DDT shifted enormously and the US and other countries banned the chemical. But here's the complicated part. DDT seems to be a very effective way to protect against malaria. The ban of DDT in various regions correlates with a steep rise in malaria there. But because Carson painted the chemical in such a negative light, many governments and aid organizations refuse to fund projects in Africa that use DDT. I don't claim to understand all the specifics of DDT, public policy surrounding its use, or its prolonged effectiveness in controlling malaria. But I do know that scientists, like Carson, often create unintended consequences. I think of Alfred Nobel, who invented dynamite and other explosives. When he realized people saw him as "the merchant of death," he established the Nobel Prizes to help mitigate his work's damage. Thomas Midgley discovered a cheap way to make car engines run smoothly: add lead to gasoline. He also found that Freon provided an effective way to keep foods cold without ice blocks. Of course, scientists later determined that lead is highly toxic and Freon is linked to ozone depletion. Automobiles revolutionized the flow of daily life in the U.S. … and cause a staggering number of deaths each year. The Wright brothers invented the airplane, and Orville lived to see planes used as devastating bombers in two World Wars. Brilliant breakthroughs in antibiotics have led to strains of mutated bacteria that resist all treatments. A scientist looking for new insecticides accidentally discovered sarin gas, which is now a deadly chemical weapon. Scientific inventions, discoveries and political decisions all have consequences. Even what we intend for good can take unexpected turns. We therefore need new generations of people equipped in their fields to continue research, public discourse, and critical thinking. If Carson was wrong about DDT, thank goodness for new scientists and public policy workers working to correct her mistakes. 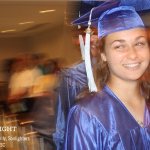 I hope that Sonlight's programs will inspire scientifically-minded students to pursue their gifts and use them well. Even if your children aren't ready for groundbreaking scientific research, they can still grow from reading about public figures whom you (and they) may not fully appreciate. The Science D Instructor's Guide helps you discuss this with your children through a 4-paragraph note about Listening to Crickets. In that note, we consider Carson's book Silent Spring, its impact, and how the world might be different had it not been published. The note brings to light the interplay of DDT and malaria, reminds us of our Christian call to be stewards of God's world, and points out that "However you look at it, without Silent Spring our world would be a very different place—in many ways worse, in other ways better." So if you read Listening to Crickets and find yourself concerned, I encourage you to share your insights with your children. If they're interested in Carson or DDT, you could do some quick research online and see where the discussion stands today. You could talk about how complicated it is to do good in the world, as evidenced by the tension between caring for the environment long-term and addressing pressing human needs today. 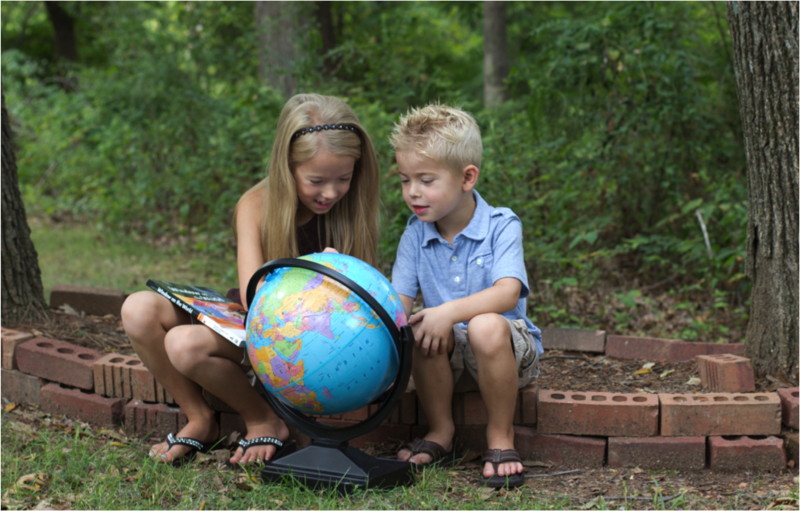 This is a wonderful aspect of homeschooling – you can continue to learn beyond what the curriculum presents. 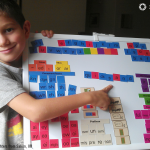 That's a great way to help children become lifelong learners. As we study scientists, politicians and public figures who made an impact, we'll continue to learn how history isn't nice and clear-cut. We can learn to think critically about a person's impact and to consider what difference our own actions will make. I totally agree with you. 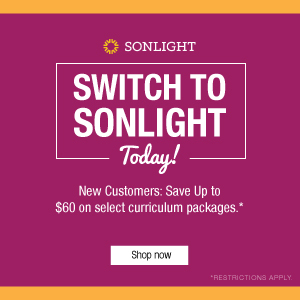 I often read people's criticism of Sonlight books and think to myself, "Do these people not even look at the Instructor's Guide?" 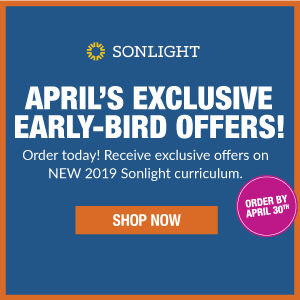 In many places, I feel that Sonlight does an excellent job of bringing balance to the discussion of controversial topics. Freon is not toxic. It is precisely because it is nonreactive until it gets into the upper atmosphere that it is a problem. On another note, the ethical problems surrounding scientific issues are rarely straightforward. Is it right, even if DDT kills malaria-carrying mosquitoes, to produce it in the US and sell it to countries where it has not been banned, knowing the environmental harm it can cause? These sorts of questions have no easy answers, but can lead to great discussions. Chris – I’m so glad you appreciate the Instructor’s Guides. We definitely work hard to make them a useful tool. Lynn – You’re right! Thank you for catching my mistake about Freon. It is nontoxic, but is believed to cause ozone depletion. I will edit the blog post tomorrow to be more accurate.